Like most people, you probably spend eight hours or more a day cooped up in an office. After, maybe you head to the gym to fit in a workout—inside. Did you know that spending time outdoors can yield many health benefits? 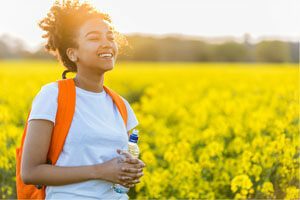 Whether you choose to hike, walk, swim, rock climb, cycle or participate in another outdoor activity, you can enjoy better physical and emotional health. Soaking up sunshine which is a fantastic source of vitamin D.
Natural light, unlike artificial light, can contribute to a positive mood. You are likely to sleep better after spending time outdoors. Your mental energy will likely increase allowing you to effectively tackle your daily tasks. Chiropractic also may help you enjoy better function so you can spend time outside enjoying healthy pursuits. Texting, surfing, tweeting, gaming, watching. We live in a digital age where we’re highly reliant on our devices to accomplish work-related tasks and keep in touch with friends and family. While technology plays an essential role in our daily lives, sometimes it’s a good idea to take a break or go on a temporary detox. Stick to a no-devices-at mealtimes rule. By turning your phone off while eating with friends and family, you can connect with each other and catch up on the day’s events. 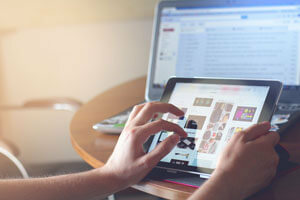 Take a vacation from technology during travels. While it may be tempting to post photos to your adoring fans on social media or text friends about all the sites you’re seeing, consider refraining and being present with those you’re vacationing with. Another benefit of doing a digital detox: you can reduce your risk of text neck and other tech-related maladies. Whether you’re a teen, middle-aged adult or senior citizen, it’s critical to have strong, healthy bones. After all, bones represent your supportive structure. If they become brittle, osteoporosis can set in, resulting in fractures. Fortunately, there are some simple actions you can take to boost your bone health. Exercise each day. Walking, running or other forms of exercise can help you build stronger bones. 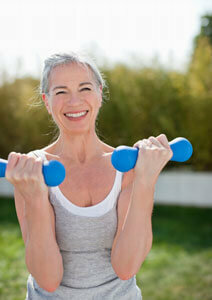 Weight-bearing exercise, in particular, is an effective way to protect against osteoporosis. Consume more calcium. Leafy green vegetables, Greek yogurt and salmon are excellent and healthy sources of calcium that can help keep your bones strong. Remember your vitamin D. Tuna, egg yolks and sardines are all excellent sources of vitamin D, which also contributes to bone strength. Just 10-15 minutes of safe sun exposure daily also can boost your vitamin D levels. Another great way to keep your bones happy? Regular chiropractic care.